KANSAS CITY, Mo. 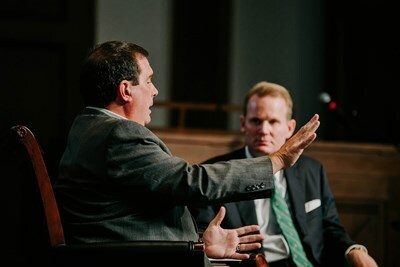 (BP) — Hopefulness for the future of the Southern Baptist Convention in a season of denominational transition was voiced by Thom Rainer, president of LifeWay Christian Resources, in a discussion Sept. 19 with Jason Allen, president of Midwestern Baptist Theological Seminary. Thom Rainer (left), president of LifeWay Christian Resources, interacts with Jason Allen, president of Midwestern Seminary, during a discussion titled “The State of the SBC” on Sept. 19. 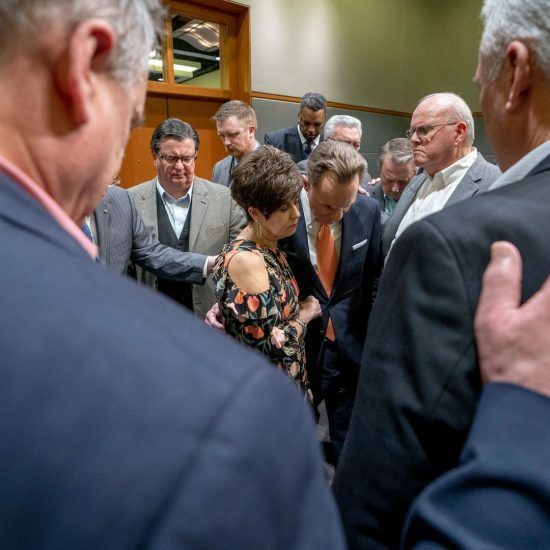 MBTS photoTitled “The State of the SBC,” the discussion during Midwestern’s chapel hour focused on the many significant changes facing the denomination. Among these is the need to fill four entity leadership positions within the SBC and to address a generational transition as well. 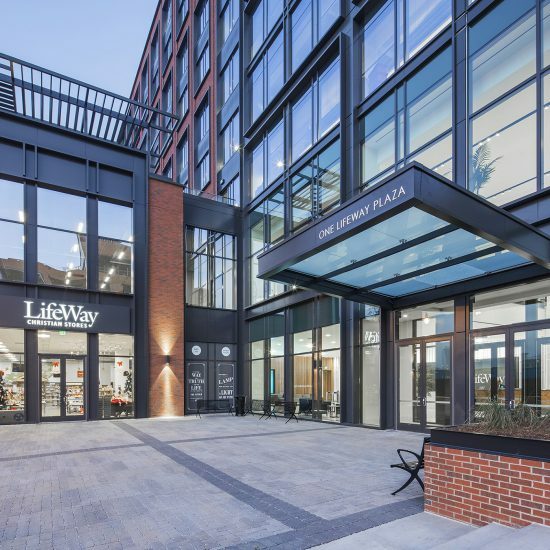 Rainer, who announced Aug. 28 his impending retirement from LifeWay, said while presidential vacancies are significant at the SBC Executive Committee, Southwestern Baptist Theological Seminary, International Mission Board and LifeWay, there’s also a great transition at the local church level. Rainer warned that an inward focus and lack of outward focus is causing dissension at the local church level in many places. 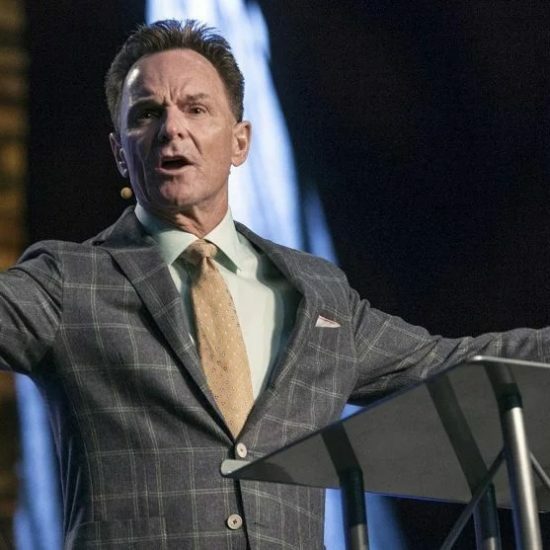 Asked what his biggest concerns are for the SBC in 2018, Rainer bluntly stated that the denomination is no longer primarily a Great Commission organization and has lost its first love — Christ and sharing Him. He noted that this answer didn’t come without personal accountability as well. “This is a reflection on me and all of our leaders. I frequently ask myself how often, during the course of a week, I am intentionally and prayerfully seeking to share the Gospel. I can point to a few times when I am, but I can point to a lot more times when I am not. 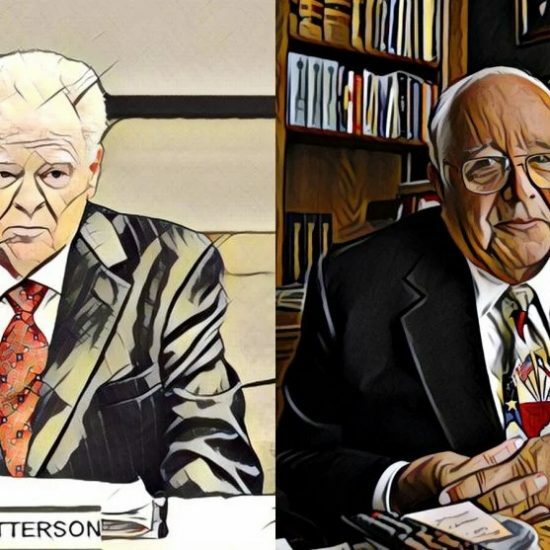 The conversation turned to a brighter forecast for the future of the denomination when Allen asked Rainer about his thoughts on J.D. Greear’s election as SBC president. “J.D. Greear is and will be a great SBC president,” Rainer responded. 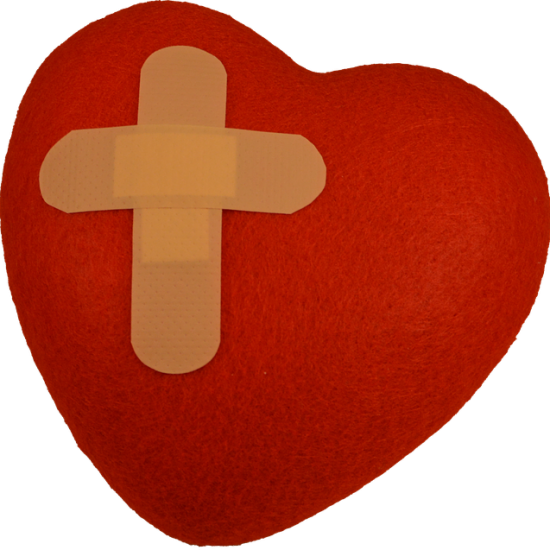 “His heartbeat is, first of all, the Gospel and it’s not a slogan to him — it is reality. He is a leader that loves church planting, and he will be about the task of starting new churches. He is also one who will be singularly focused upon his primary objectives, and he will not be distracted by the tertiary things mentioned earlier. Allen noted a coming generation of believers who possess an ambition to truly give their lives to something more. He added that he would never encourage them to do that toward propping up a tired denomination, rather that they give their lives to the church, to the Word of God, to the Great Commission, and the convictions Baptists hold dear. “If our hearts are right, our beliefs are right, and our mission is right, inasmuch as we need a denomination, those denominational aspects we need will take care of themselves,” Allen said. Rainer concurred, praising aspects of ministry as seen among millennials and the next generation. While not as many millennials are attending church, he described them as a different kind of believer. While there is much work to be done within the SBC, Rainer said it all begins by staying focused on mission.